Well there is only one title for this report. 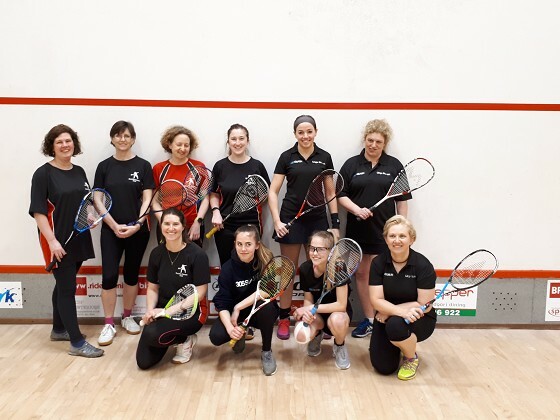 Our Friday coaching group had their inaugural match against Lings club from Northampton. It was a tough gig, but the ladies stuck to their task. Lings won easily so well done to them, although they had to pack it with a couple of very good juniors! A great evening was had by all, including the traditional Chilli and Pepper curry afterwards. Return match coming soon. On Saturday the Junior County Championships were held. Brackly had a great contingent of players entered. The matches are played over the best of 3 or 5 games and it was a long day for the players. This was very much a learning curve for our Juniors. What was really pleasing to see was the standard of play with some really great matches and play. Well done to all who entered. The boys found the going tough, with some very strong competition, there were some great games and determined play. The girls had a great time and we now have two County Champions and two runners up. 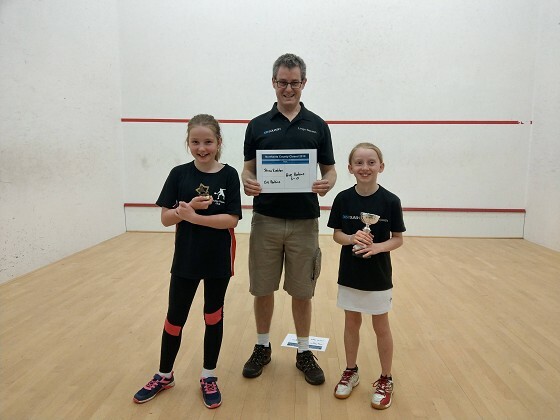 Jenna's group was dominated by Eve a really strong player who easily won the Girls U11s. Her play off patch against Katie was great and she came through 3-1 with the second game going to 17-15. Emma won the Girls U15s category which was extermely close. The top 3 finished level on points in the round robin stage and on countback Emma came through by 2 points to play in the final. The final was a very tense affair, with Emma losing her first game easily, she fought back to win the second game (after a talking to/coaching from her father!) and came from 6-3 down in the 3rd game to win 11-9 to win 2-1 overall. 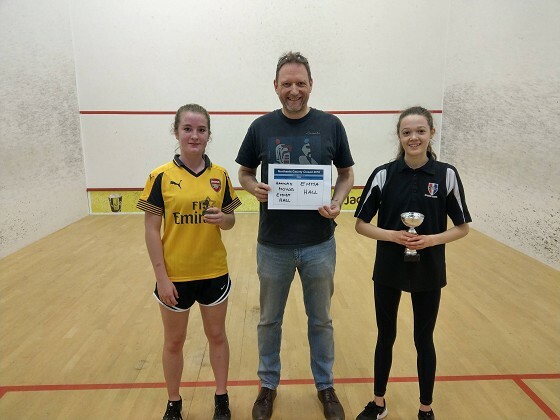 Caitlin won the Girls U17s County Champion match in an again very tense affair. With both players from Brackly we were assured of a win, however not the drama. Emma lost the first game to Caitlin (spot the pattern). She then fought back to win the next two to make it 2-1. This being the U17s it was best of 5. After a very close 4th game Emma got to 10-8 for two chamopoinship points. Caitlin dug deep and took the game 15-13. 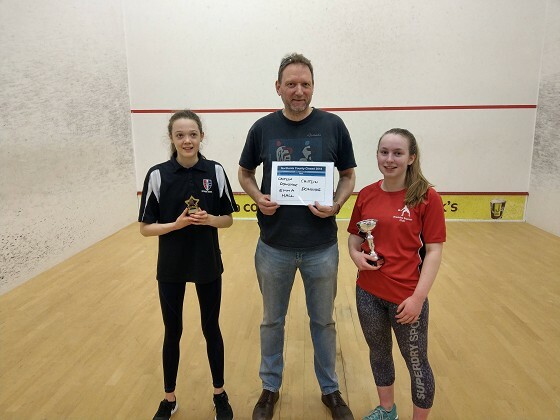 At this stage the effects of playing the U15s category too effect and Caitlin won the 5th easily to take the title. Well done to both for a great match. Well done to our champions and everyone who played. A great competition and it will hopefully inspire the children to greater heights.